Mothers across the world seem to respond to their infants crying in similar ways, according to a new study, suggesting that some instincts may be hard-wired into the brains of new moms. NEW YORK — Mothers across the world seem to respond to their infants crying in similar ways, according to a new study, suggesting that some instincts may be hard-wired into the brains of new moms. The findings may help answer many new parent questions and help guide research to prevent child neglect and abuse. The researchers studied five common responses performed by parents. 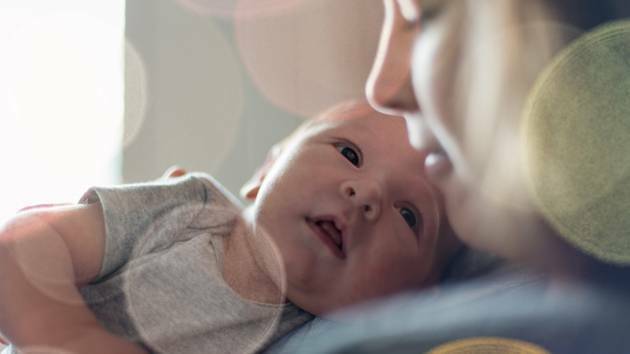 As it turned out, new mothers in the study tended to respond to their babies in distinctively similar ways, regardless of where they lived, according to lead researchers at the Eunice Kennedy Shriver National Institute of Child Health and Human Development. The most common responses among the 684 mothers from 11 different countries, in the first five seconds of infant crying, were to lift up, hold and talk to their babies. And these techniques appeared to work. “Those parenting strategies –- the ones that mothers tended to do readily and frequently in our observations: pick up and hold and talk to –- are effective in calming a crying baby,” Bornstein said. The fact that mothers’ responses were common across cultures led Bornstein and his team to hypothesize that the behaviors were not taught, but were embedded within the brains of new mothers. To test this, the researchers used functional magnetic resonance imaging (fMRI) to analyze the brains of some of the women. fMRI is a technique that analyzes which parts of the brain are activated when a subject is stimulated in a certain way. The researchers looked at 43 of the new American mothers in the fMRI studies, scanning their brains while they heard their own infants cry and comparing these brain scans to those taken when the new moms heard other sounds and noises. The researchers found that the infant cries activated parts of the brain associated with movement and speech. Women who were not mothers did not have the same response on the brain scans, suggesting that the infant cry is an emotional signal that elicits a response specifically from moms, making it more likely that they will address babies’ needs. This same experiment was repeated in 50 experienced mothers in China and Italy, exposing them to cries from their infants as well as cries from other infants and various adult noises. They found the experienced mothers actually had increased activation of the same areas of their brains, which happened in as little as three months following the birth of a child, suggesting that the connections in the maternal brain can change rapidly.